If you're looking for the best black lights for parties, we have a comprehensive article reviewing 10 models of black lights. As we move through each brand and unit, we will compare their special features to determine the best black lights for parties. Each unit is different and has qualities that make it useful, but not all black lights on our list are the best black lights for parties. 1. What Are the Best Black Lights for Parties? The best black lights for parties are bright, functional, and easy to use. 2. What Are Black Lights Used For? Black lights are great for parties, dances, ambiance, and more. An entire room can be lit up by black light which will give everything a new and different appearance depending on its UV reactivity. 3. How Do the Best Black Lights for Parties Work? 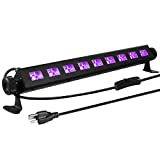 The best black lights for parties come in the form of bars, spotlights, ceiling lights, or LED light strips. These units are easy to use and typically plug directly into the wall or light socket. 4. Where Can You Buy the Best Black Lights for Parties? 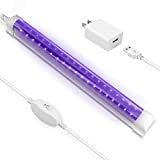 The best black lights on our list can be purchased on Amazon.com or directly from the manufacturer. 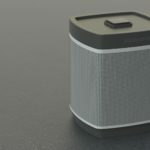 Below we highlight each item's unique features plus their pros, cons, and price point. The Gohyo 27 W LED UV bar has 110v-240v wide voltage with a 42" cable and 395-400nm UVA level. This ECO UV bar is bright with a high output of 18x 3-watt UV LED lights with a 120-degree LED strobe effect. This unit includes a wall/ceiling mount and IR remote for easy control. The HouLight is USB powered with adjustable brightness and has a 395-400nm, UVA level. This unit is powerful and lightweight. 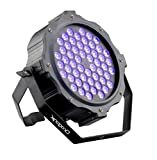 The DragonX UV light is great for holiday decorations or situations where you need a spotlight black light. This unit has a wide beam and is powerful with the opportunity to link 8 to 30 units via DMX input/output. This is a professional-grade venue light. 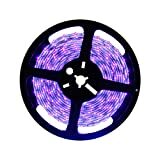 The DeepDream UV black light LED strip is durable and extremely bright while offering true UV light. You can choose between 16.4ft or 32.8ft of strip lights. They are 396-400nm UVA lights with 300x brightness and are waterproof and easy to install anywhere. The WOWTOU 9x3W dimmable blacklight is premium quality with super bright LEDs offering 395nm UVA with a 120-degree beam angle. It is ideal for a 20 x 20 ft space. 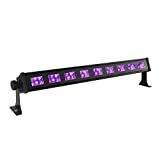 The American DJ 24" black light comes with a mounting fixture and a 3ft power cable. It offers 365nm UVA with variable 120V or 220V operation. 40W or 20W bulb options. 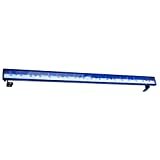 The OPPSK 27W 9LED UV bar is great for a 15 x 15 ft area with wide voltage of 110v-240v. Its UVA level is 395-400nm with an on/off switch and a durable aluminum alloy case. This unit stays cool and is easy to install with a 360-degree variable bracket. 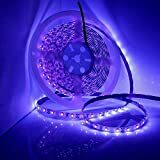 This LED light strip is great for unique projects or customized lighting. It comes in variable lengths with a 12V power adapter. This strip is waterproof and safe for indoor or outdoor use. They are super bright light at 395nm-405nm. The last light on our list is the Sunlite LED UV Blacklight which operates at 120V with a true 365nm blacklight UVA wavelength. This bulb is ideal for identifying UV reactive elements without interference from other frequencies. 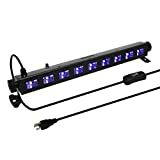 Since we have listed 10 competing and unique UV lights, LED bars, and black light imitators, we are confident in our selection of the two best black lights for parties. 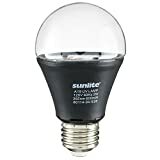 We highly recommend the Sunlite LED UV bulb as the best true UV light for parties. If you want UV reactive items to glow but not to cover the room in a bright purple light, then this bulb is the best pick. If you are looking for a more powerful light and are not so concerned with the true UV spectrum, then we recommend the HouLight 10W UV LED Tube for its reliable performance, excellent customer service, and uniform lighting in small rooms. 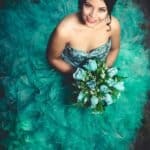 We hope you have found this article to be helpful as you shop for the best black lights for parties.